http://www.engvid.com/ Many students have problems with prepositions in English. 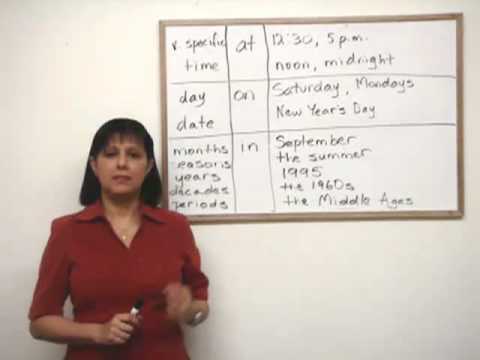 In this lesson, I explain how three prepositions -- 'at', 'on', and 'in' -- are used in relation to time. If you have any questions about this lesson, please ask me on engVid, where I will be happy to help you.